Over 3,000 pounds of marijuana were seized at approximately 5:00 a.m. on Saturday, May 12, just north of Santa Barbara. County Sheriff’s detectives had followed a dark-colored truck southbound on Highway 101 from Arroyo Quemada Lane and onto Dos Pueblos Canyon Road, where the unknown male driver stopped and exited the vehicle, fleeing into a nearby creek bed. Detectives found more than a dozen bales of marijuana inside the vehicle. Following this incident, three additional vehicles seen entering and leaving the area of Arroyo Quemada Lane were stopped and an additional van with several dozen bales of marijuana was discovered. The bales are consistent with those smuggled into the United States by Mexican drug trafficking organizations. 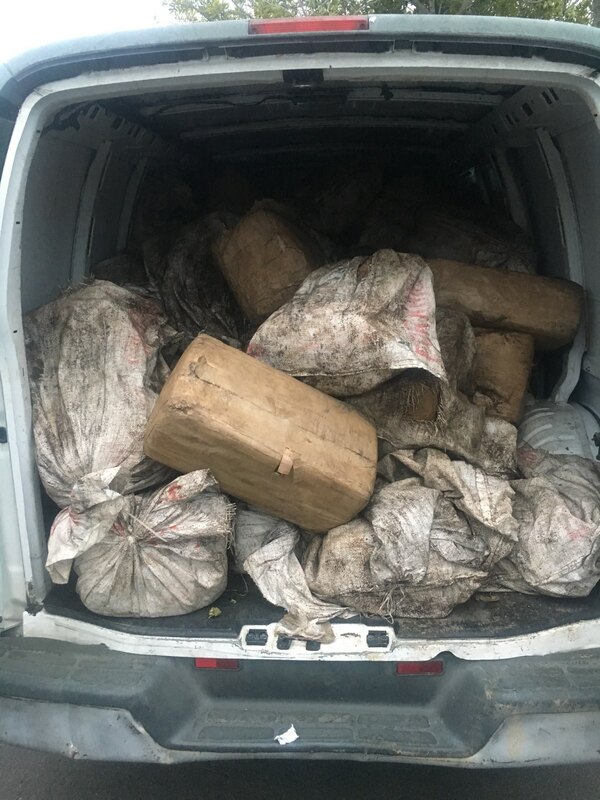 Two of the vans were transporting multiple subjects who smelled of fuel and were covered in sand and water — a result of transferring marijuana bales from a panga boat to vehicles. 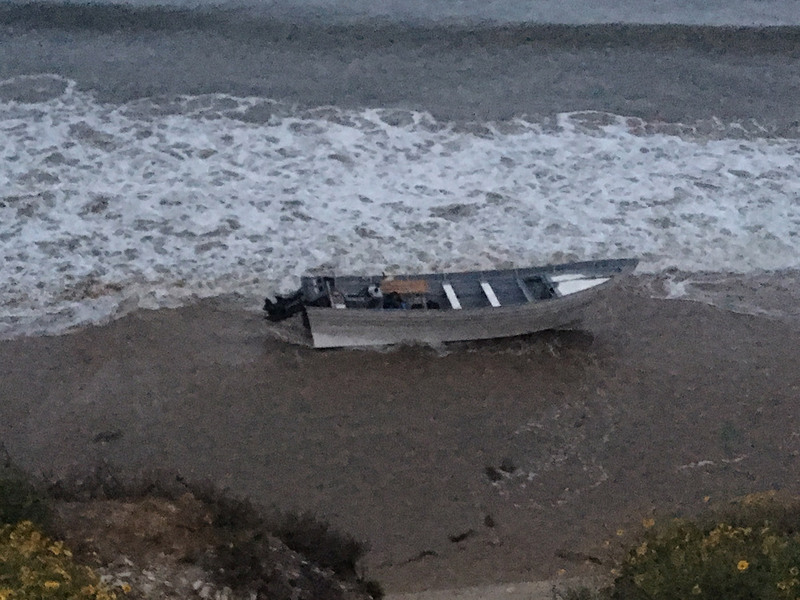 A subsequent search of the nearby coastline revealed a large panga-style boat. In total, 18 males were arrested in connection with the smuggling operation and more than 120 bales of marijuana were seized. The incident is still under investigation.